Get ready for more Transformers excitement, with these great stories featuring the bestselling transforming "robots in disguise"! The action cranks up to fever pitch as Autobot leader Grimlock's erratic behaviour finally pushes Blaster over the edge. Out on his own, in open opposition to Grimlock's command, Blaster is suddenly public enemy number one...hunted by friend and foe alike. But Grimlock isn't his only problem. The Decepticons too have a new leader - Ratbat - and he's bringing out the big guns. 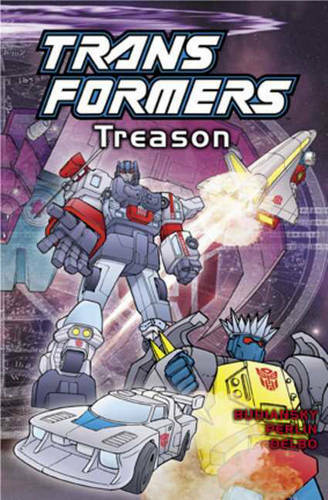 Featuring never-before-collected stories, Transformers: Treason is packed with action and adventure for all ages!